A high-ranking Chinese official reportedly conveyed a personal letter from Chinese President Xi Jinping's to North Korean leader Kim Jong-un on Sunday. 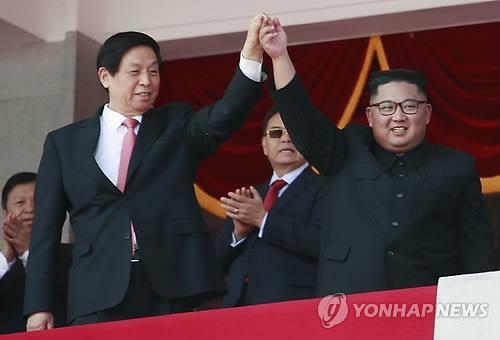 China's state broadcaster China Central Television(CCTV) said that Li Zhanshu, a member of the Standing Committee of the Political Bureau of the Communist Party of China, gave the letter to Kim on Sunday when he attended a North Korean military parade to celebrate the 70th anniversary of the country's founding. In the letter, Xi said that he praised Kim's focused efforts to develop the economy and improve people's livelihood. The president also reaffirmed China's commitment to reinforcing relations with North Korea. 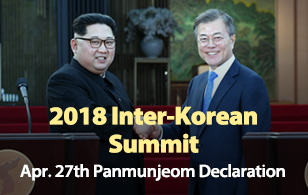 Xi said that China and North Korea have opened a new chapter in the development of bilateral relations through their three summits, expressing the hope that their relationship will continue to grow through the implementation of the two sides' shared vision.